Advances in the field of neonatal–perinatal medicine over the past 40 years have resulted in marked improvement in survival and outcome of the prematurely born and critically ill infant. 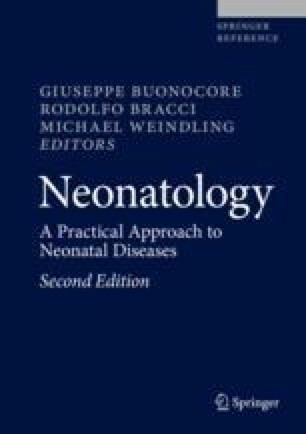 While the overall reduction in mortality and morbidity for infants is favorable, decisions regarding the care provided to newborns at the threshold of viability and those with complex medical, surgical, and potentially lethal congenital anomalies continue to present challenges to the families and healthcare providers. The dilemma surrounding the complexity of the decision-making process is based on a number of factors including the rights of the child as an individual, the values of the family and the healthcare personnel, the cultural influences, and the moral and ethical standards that impact the way physicians practice medicine and their approach to end-of-life decision-making. As an adjunct to help facilitate the process of decision-making, the role of neonatal palliative care has increased over the last few years. In fact, the field of pediatric palliative care and neonatal palliative care is relatively new and will provide added benefit to healthcare providers and families as they are confronted with difficult decisions.